Milan, Italy is the capital of the Lombardy region. The population of the city proper is 1.3 million, while its urban area (that stretches beyond the boundaries of its metropolitan province) has population estimated to be about 5.5 million. 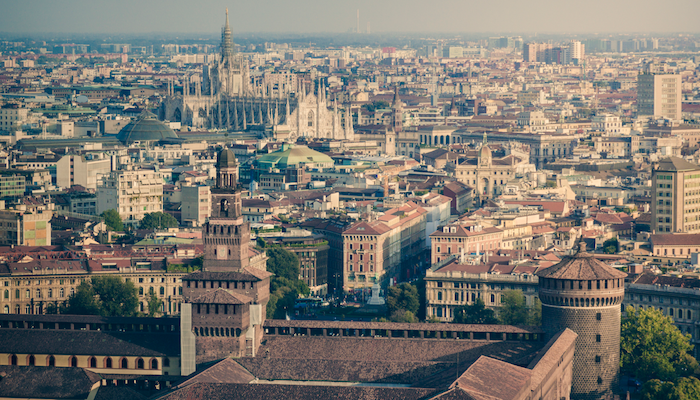 Milan is the main industrial and financial centre of Italy and one of global significance. Milan is not a great running city — traffic, poor air, some cobblestoned streets, and lots of industrial areas. But there are some great parks near the center that make for some great runs. Our ‘tourist run’ features a nice jaunt around the scenic buildings, bustling plazas and beautiful churches. 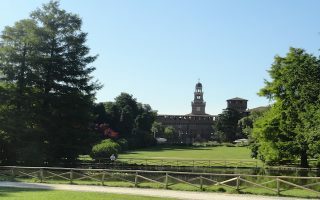 There are also numerous parks that offer an escape from the busy streets as well as paths along the canals that offer an uniquely Italian running experience. 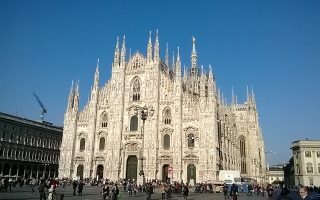 The Duomo is a good place to start for many of Milan’s runs. One treat is Runbase, located in Sempione Park, which offers showers and lockers near some of Milan’s best central running routes. We should point out that the air quality can be a particular issue in Milan because of fine particulate pollution. Milan has excellent public transportation. The Azienda Trasporti Milanesi (ATM) operates within the metropolitan area, managing a public transport network consisting of an underground rapid transit network and tram, trolley-bus and bus lines. Milan Metro, consisting of four lines is one of the largest in Europe. The recently opened M5 line is undergoing further expansion and the construction of the M4 line has been approved. Further, Milan has a suburban railway service comprised of 10 lines that connects the metropolitan area with the city centre through the Milan Passerby underground railway. 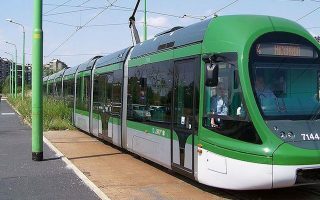 There is also an extensive tram system (along tracks) and an extensive buses. ATM also manages bike sharing and car sharing systems. A running tour of some of Milan's most interesting sites. Starts at Duomo, includes the Vittorio Emanuele II shopping gallery, public garden, Planetarium, Museum of Natural History, and the Sforza Castle. This park is one of the largest in the city. It’s possible to do 2–3 miles in the park, around the perimeter and park trails. 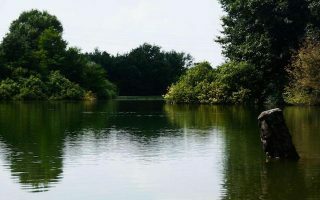 Our 2.5 mile route lined with amazing monuments, it is a perfect blend of natural beauty and tourist sites. Monte Stella is better known as the “little mountain of San Siro”. With its height of 164 feet and almost 500 feet of elevation gain it is the right place for those who want to spice up their running with some hills. A pedestrian path running for almost 24 miles along the Naviglio Maresana (river), connecting Milan with the Adda river. An uninterrupted off-road path surrounded by greenery, with ancient villas and other unexpected beauties. This is another opportunity for combining a waterside run with some city sites. The route along the water is there and back but the first and last sections form a small loop. 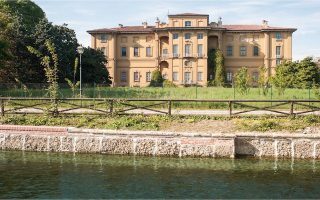 Known as the “sea of Milan”, is one of the most beautiful places for a run near Milan. This artificial lake, is about 10km east of central Milan, and near the airport. The 6 km loop features lush, green surroundings. 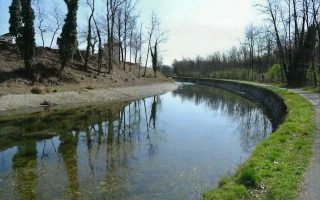 Forlanini Park is another pleasant park not far from Linate Airport. About 3.5 miles trails. Can becombined with the 3.7 mile loop in the Idroscalo, about 1km to the east. 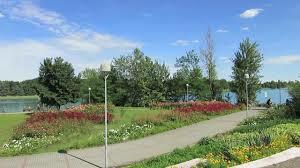 Wonderful park and woods running 10km west of the city center. About 5 miles of running east-west or north-south. 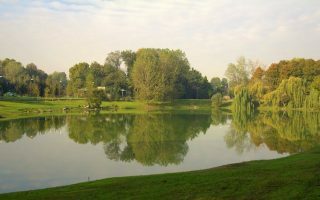 The largest park in Milan, about 30km northwest of the city. Official route is 3.7km, but there are miles of other trails including a 4k run around the perimeter. Farms, botanical trails, and walking paths. 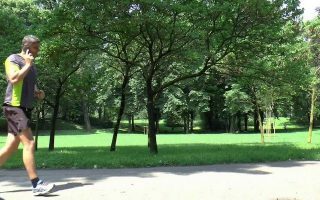 Nord Milano Park is home to Parkrun, a free group 5k held every Saturday morning. 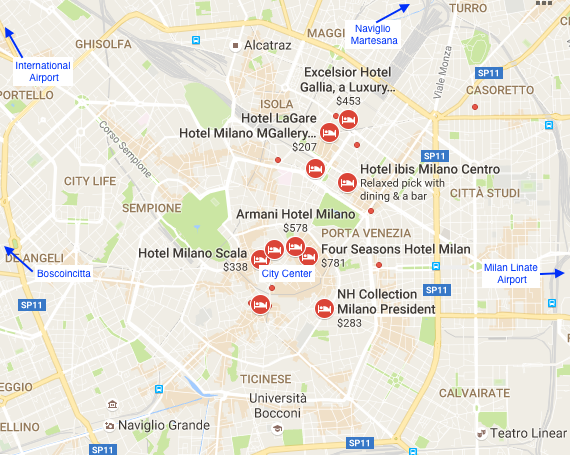 There are hotels in every neighborhood of Milan but City Center is the most popular spot. When staying in the city center, Old Town, Sempione Park, Naviglio Grande, and Naviglio Martesana routes are easily accessible. 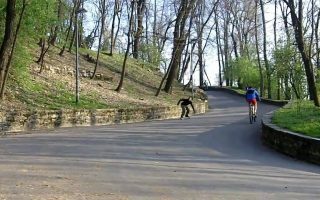 Utilizing public transportation, it is also easy to get to Parco Lambro, Monte Stella and Boscoincitta. The Parco Forlanini and Idroscalo routes require a longer trip on public transportation or a drive. Runner Store Running specific store. Koala Sport Store focused on road running and run by athletes. Born to Run A shop specializing in products for runners as well as a meeting point for those who love running. Oops, gotta RUN Performs gait analysis for superior show fitting. Run and Bike Como. Founded by a triathlete as a specialist running shop and accessories for triathlon. Punto Running. Cantù. Operated by runners who provide guidance in finding the best shoe. Milan has numerous running events. Events Calendar, from Lazy Runner. Cinque Milini. January. The name means 5 mills. Runners take on 5 X 2000 metre laps through fields and roads. The male race distance is 9.8km and the female is 5.5km. Milano City Marathon April. Marathon with relay options. Lake Maggiore Marathon June. Known as the most panoramic course in Italy. Distance options include, 10K, 21K, 33K, and 42K. Salomon Running Milan September. 25K competitive and non-competitive 15K and 9K. Half of Monza (Monza Half Marathon) September. 30K, 21K, 10K and 5K. This race is run the week after the Grand Prix motor race. The circuit still smells and gives the race a unique ambience. Avon Running September. A race for women to raise funds for the fight against breast cancer. Non-competitive 5K and 10K and competitive 10K. Ekirun October. A relay marathon (42K) to be run by 6 people. Trofeo Montestella. October. Popular 10k race. Deejay Ten October. Two routes: the 10K and 5K. Starting from Piazza Duomo.